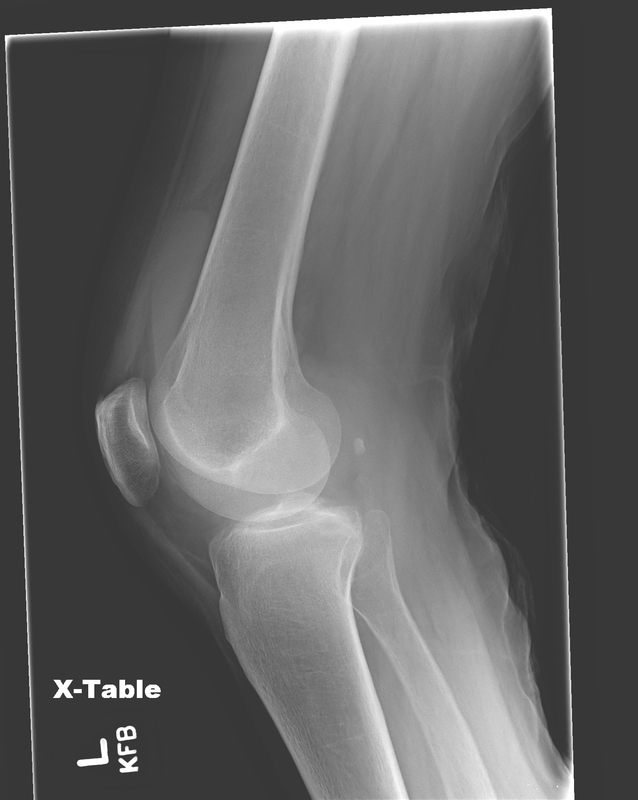 This is a classic knee film in an elderly lady who fell. What is the finding and diagnosis? Just anterior to the distal femur there is an example of lipohemarthrosis. Note the horizontal line seen in the suprapatellar pouch (blue arrow). This occurs when fat and blood have been released into the joint space and creates an interface (fats don’t mix with mostly water-based blood). The fat has been released from an occult fracture, most commonly a tibial plateau or distal femur fracture. If you can’t see the fracture it may be a good idea to obtain further imaging (CT or MRI) or refer the patient to an orthopedic surgeon. This patient presented to the ED with a headache. This patient has an “Empty delta sign” in the superior sagittal sinus (blue arrow). This is indicative of dural venous sinus thrombosis. There is a clot (dark) among normal blood in the sinus (light). Remember to look at your sinuses for this rare occurrence. 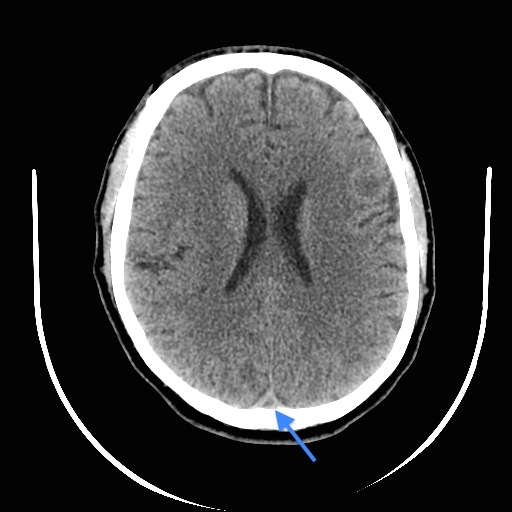 This patient presented to the ED with a headache. What’s Wrong With This Picture? 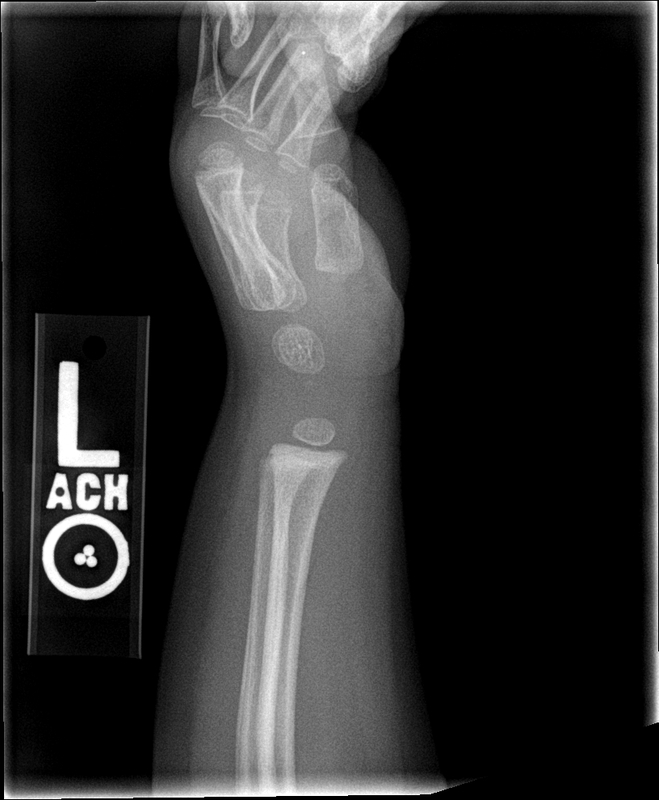 There is a subtle linear lucency on the distal radius, best seen on the lateral view. 1. 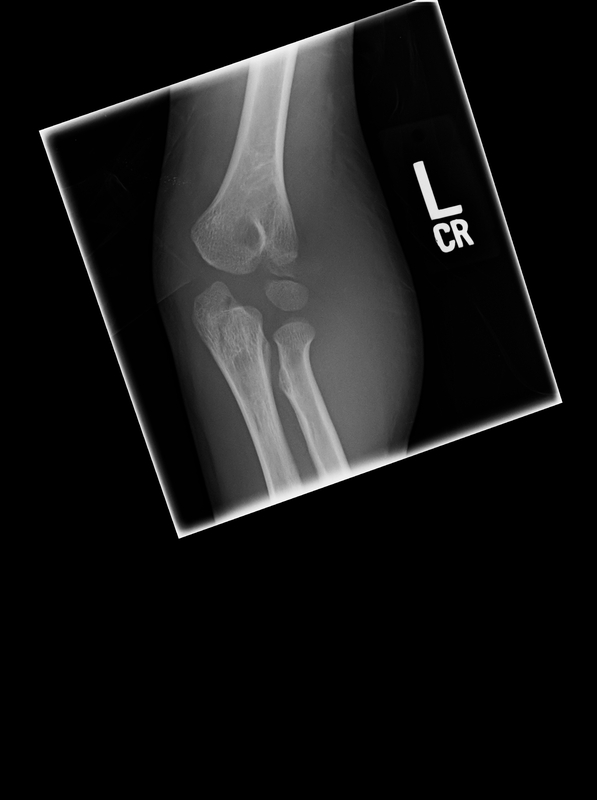 There is a fracture of the lateral epicondyle with displacement. 2. There is subluxation of the capitellum anteriorly. 3. 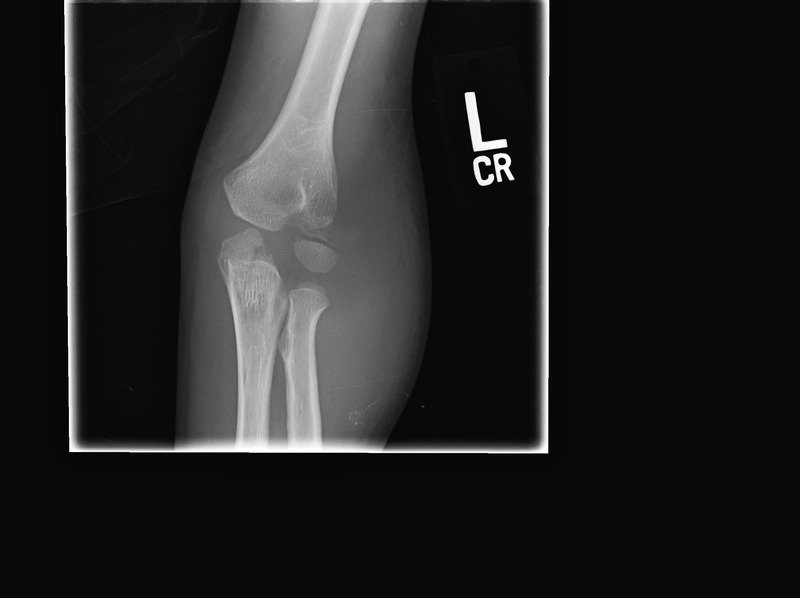 There is a minimally displaced fracture of the olecranon process. 4. 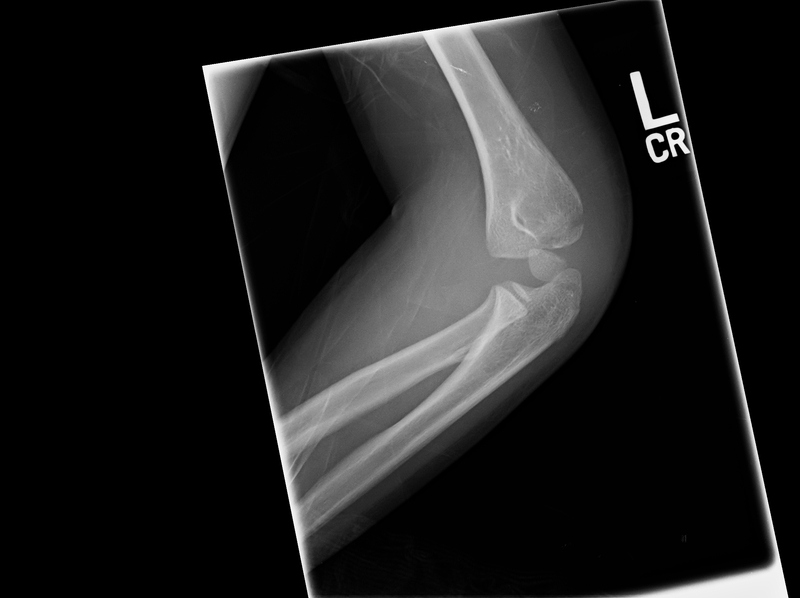 There is a large amount of soft tissue swelling adjacent to the elbow, most pronounced laterally. 5. Exam is somewhat limited due to lack of true lateral radiograph. #1 is fairly easily identified on all 3 radiographs. #2 is readily apparent if you apply the anterior humeral line to the radiograph, see link below for further details. #3 can be best identified by the lucent line on the latter two radiographs. #4 is apparent also on the second two radiographs. #5 is a true statement, it is not a great lateral radiograph. However, can you imagine the difficulty the radiology tech had trying to get anatomic landmarks when it is this swollen? Hopefully you got all the findings! What’s Wrong With This Picture #16 (WWWTP)? Here’s a child who fell on an outstretched hand. Can you identify all of the findings on this radiograph? This CXR has several interesting findings. There is a heavily calcified mass in the left hilar region consistent with a calcified lymph node. Also there are multiple discreet nodules in the lung parenchyma (best one is seen in the left upper lobe, also well seen in right middle and upper lobes). Turns out this patient had lived in the midwest region for most of his life. This pattern can be seen with Histoplasmosis. Histoplasma capsulatum is a fungus that is highly prevalent in the Ohio and Mississippi valleys of the midwest. 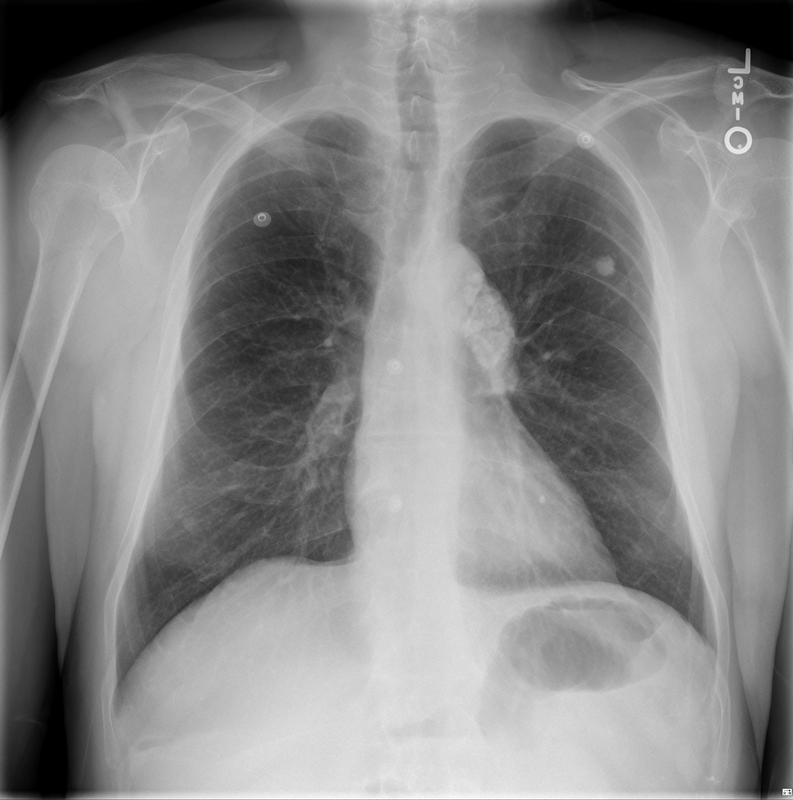 Radiographically it commonly causes solitary pulmonary nodules, multiple tiny nodules (miliary Histoplasmosis), and lymphadenopathy. Less commonly it can cause fulminant pneumonia. The differential diagnosis, depending on the radiographic findings, can include Mycobacterium tuberculosis, Coccidioidomycosis, lung cancer, lymphoma, sarcoidosis, and others. 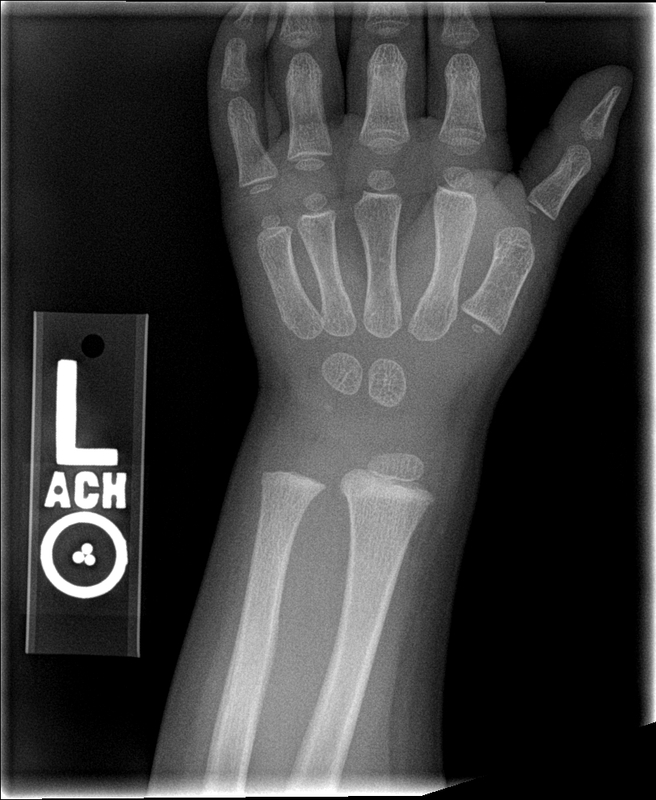 What’s wrong with this picture and what is your differential diagnosis?